Island Club Apartments offers a beautifully appointed two bedroom, two bathroom apartment floor plan that offers tremendous space and privacy between bedrooms. 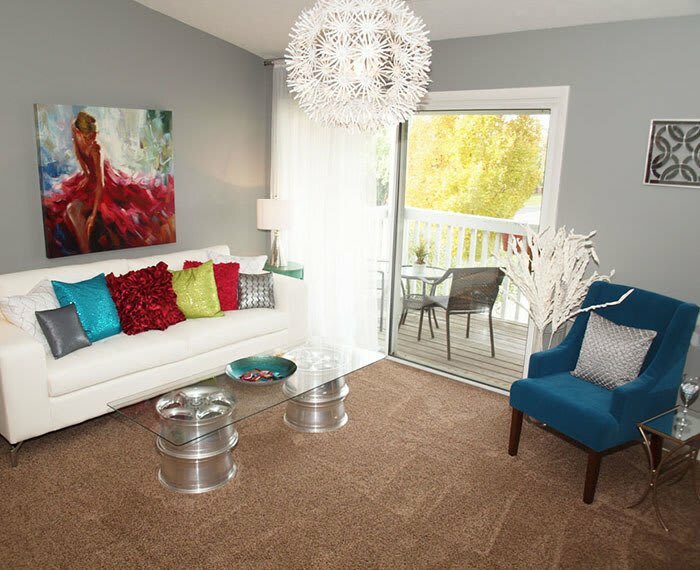 We've designed our homes with comfort and convenience in mind, including features like open concept living spaces, chef-ready kitchens, expansive laundry rooms with washer and dryer connections, split suites with abundant walk-in closets and much more! Do you love the thought of a cozy wood burning fireplace during a cool winter night? How about a floor plan that offers privacy and separate space for roommates, dramatic cathedral ceilings or a spacious patio to enjoy with your family and friends? Be prepared to love what you see at Island Club! Flexible 3-12 month leases are available with month to month lease options after your initial lease contract expires. If you are ready to call Island Club Apartments home today, we'll offer you a fantastic look and lease special with a reduced deposit when you reserve an apartment in our community on your first visit. We'd love to tell you more about this offer when you come by.